Churn this around in your head. It’s not that adults produce children. It’s that children produce adults. I was mulling about children in light of relatively new evidence that my teenager doesn’t think I’m as cool as she did when she was, say 6 years old. Or even 12. Or even last year. I have gone from amazingly cool to occasionally embarrassing. I was dismayed to feel the umbilical chord stretch for the very first time this Fall. We have had such a great run that I thought we would be immune forever. However, I am accepting of my new status partly because I have hope. That the chord will bounce back like a taut elastic. In time. Indeed, I am certain of it. Because I too felt embarrassed by my own dad growing up. Painfully at times, telling my classmates about whole grains and the benefits of vegetarianism and meditation. But I’ve gotten past that. Or maybe the world just caught up? Well, to be honest, he embarrasses me still. With different things. Here’s a current example; in his just-released TEDx UW talk, he shows a picture of me in hospital, clutching my IV pole and – hold on gentle readers – wearing a non-Stephens’ Sisters Shopping Diet hospital gown. On the quest for transparency, truth and social justice, it’s normal to embarrass your kids occasionally. Right? But every so often I’m surprised when my munchkins beg in stereo, “Mom please don’t talk about pesticides with [so and so]’s parents.” I smile quietly. Sometimes I can’t help but say “You will understand when you’re older.” I feel that sharing valuable information with my fellow humans is worth a little un-comfortability. Because if you always stay within your cocoon of ease, can you make meaningful change? Can you? What do you think? I want to know. This entry was posted in Arran Stephens, Livers and Givers, Uncategorized and tagged Ted Talk, TEDx, TEDxUW on January 22, 2016 by Gurdeep Stephens. ‘Auguri‘ is Italian, roughly meaning good wishes. It’s as multi-purposed a word as ‘Ciao’ and Italians can’t say it enough at this time of year. Auguri derives from the ancient Etruscan and Roman practice of (guess?) augury which was studying the patterns of birds to predict whether a course of action (like declaring war) would be successful. 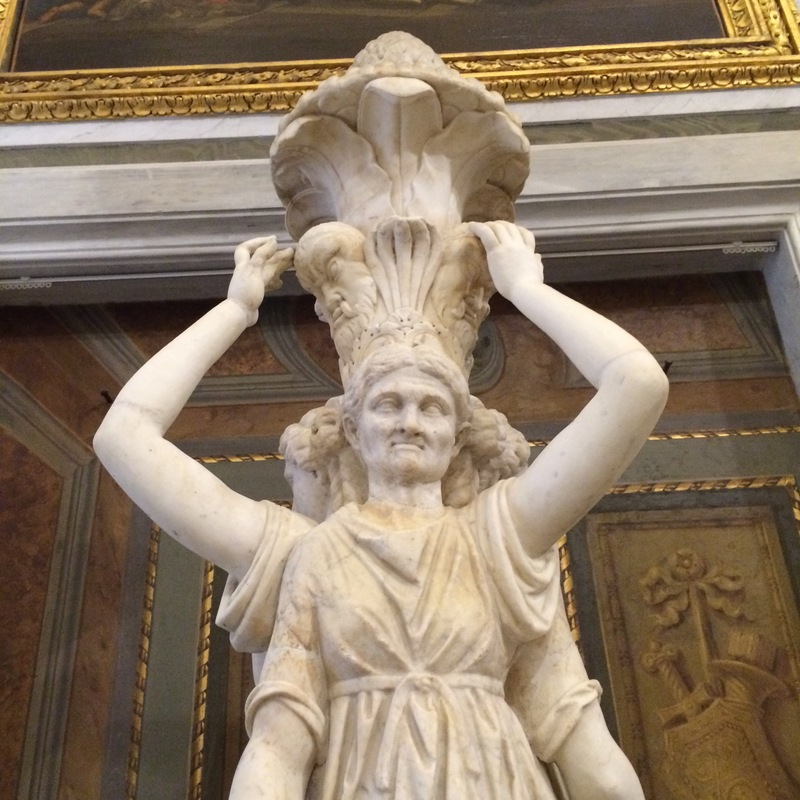 In the world’s first public museum (Gallerie Borghese, 1734), I saw this unusual ancient Roman marble statue of an old woman which got me thinking about how rare it is that we celebrate… old women. January 6 is an Italian national holiday: the epiphany/befana. 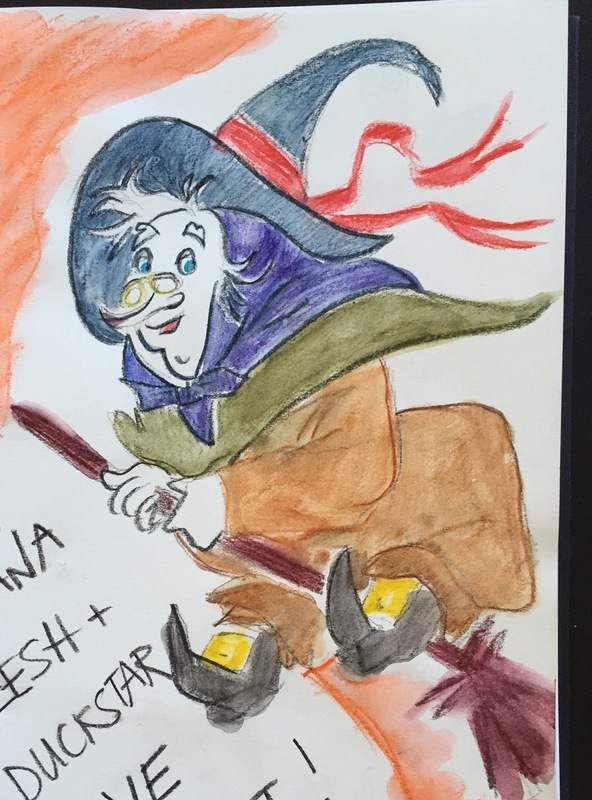 On the night of 5th, la Befana (roughly translated to Christmas Witch) comes to bring treats for children. The 6th has always been special to me because it’s my dad’s birthday. Ever since I donated my liver to him in 2011, his birthdays are even more meangingful (Happy Birthday Dad!) For Christians the world over, the twelfth day of Chritmas (12 Drummers drumming) is known as the epiphany and when the 3 Kings/Wise men came. The Befana was apparently invited to Jesus’ birth by the Kings. Although she didn’t make it, her legend is evoked on this day; she brings presents to children in the night and can give a wicked good sweep of the house while she’s at it. Throughout Europe, gift-bearing magical beings bring presents to children on the night of the 5th of January. A couple weeks ago walking about Rome near San Giovanni in Laterano (oldest Church), Santa Claus came across our paths. Not a guy wearing a cheap costume and polyester beard but a normally-dressed man with red cheeks, bushy white beard and mustache – must not forget the twinkle in his eyes. My head swivelled around as I nudged my daughters who similarly started and stared in delight. Mr Claus smiled back, obviously used to such attention – especially in December A little part of me thought “What if he really *is* Santa?” before I reminded myself that despite my childhood beliefs (and a desire to believe in a jolly old soul who indulges children’s toy fantasies)… Santa Claus in his present incarnation is a marketing invention conceived of by Coca Cola. The Italian Befana is a traditon pehaps linked to a pagan goddess and subsequently amalgamated into a Christian tradition. If my North American family were to be in Italy right now, they would be forgiven for thinking that the Italians are trying to recycle Halloween treats with ugly witches on broomsticks at every turn. The witches have warts, wiry grey hair, Harry Potter broomsticks and are bundled in a scarf and plain clothes. Thinking about the Befana, I started to imagine myself as an Italian child. Maybe my inner infantile Italian incarnation would be entranced by old ladies with homely nasal protuberances. Would any of my Italian readers stare at old ladies – especially as kids- wondering if they were the *real* Befana? What a lovely way to grow up, seeing hardy, hearty, non-fashionable grannies with warts and double chins as magical creatures bringing candies for the good and coal for the naughty. (Actually all the kids get coal since none can be good all the time. Worry not my eco warrior friends- the coal stays in the ground. Modern day children of Italy receive lumps of black candy made of non GMO sugar). For this year, I aspire to learn more of powerful women, both real and imaginary. May this year bring important changes via powerful and real men and women. May our internal drummers pound away, may we dance wildly to righteous beats, may we listen to our inner children, and harness our collective magic! This entry was posted in Uncategorized on January 6, 2016 by Gurdeep Stephens.